Viknesh Vijayenthiran March 29, 2019 Comment Now! 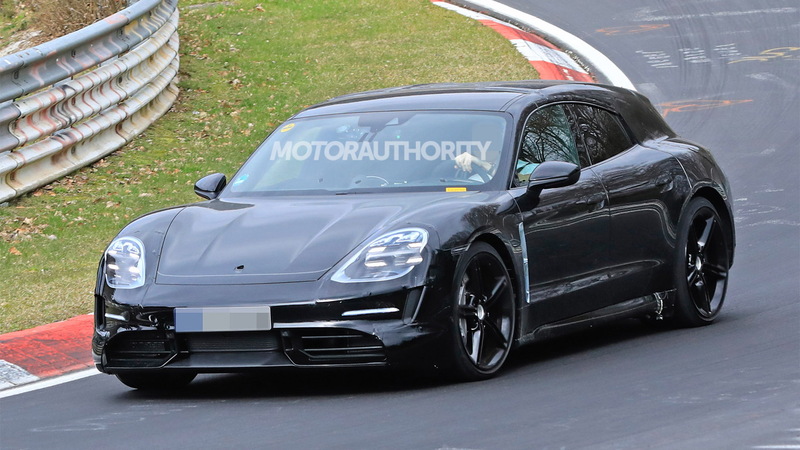 A new body style for Porsche's yet-to-be-revealed Taycan electric sport sedan has been spotted in prototype form. The car is the production version of the Mission E Cross Turismo concept Porsche rolled out at the 2018 Geneva International Motor Show. The production version will be known as the Taycan Cross Turismo when it makes its debut sometime in 2020. We should see it arrive in showrooms later that year as a 2021 model. The regular Taycan debuts in September at the 2019 Frankfurt International Motor Show. The Taycan Cross Turismo is a rugged, high-riding wagon, known as a soft-roader in automotive parlance. 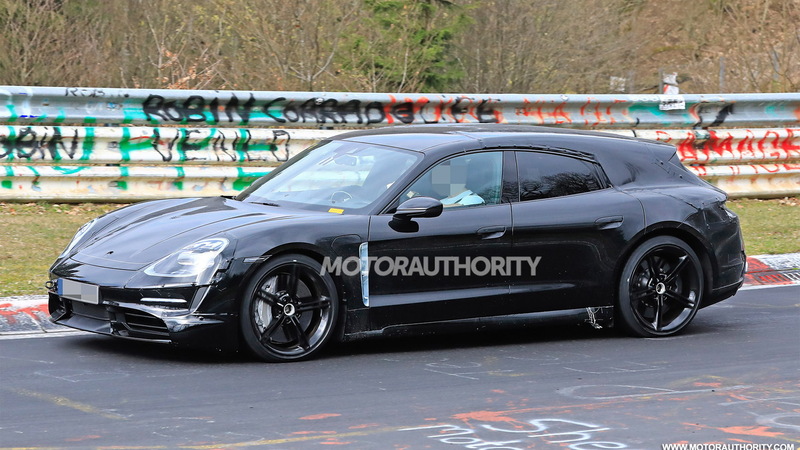 It isn't clear if Porsche is planning a standard wagon option for the Taycan, akin to Porsche's Panamera Sport Turismo wagon. It's possible we see both given Porsche's penchant for launching multiple derivatives of a single product line. A Taycan Targa is also rumored to be in the works. As for the Taycan Cross Turismo, its performance should be similar, if not identical to the Taycan sedan. This means potential buyers can look forward to at least one version, possibly classified a Turbo, to offer over 600 horsepower and 300 miles of range. An 800-volt electrical system will also enable an 80-percent charge in 15-20 minutes, when using a 350-kilowatt charger. Note, those exhaust tips you see on the prototype are dummy units to fool onlookers. The car features an electric powertrain consisting of a battery in the floor and an electric motor at each axle. 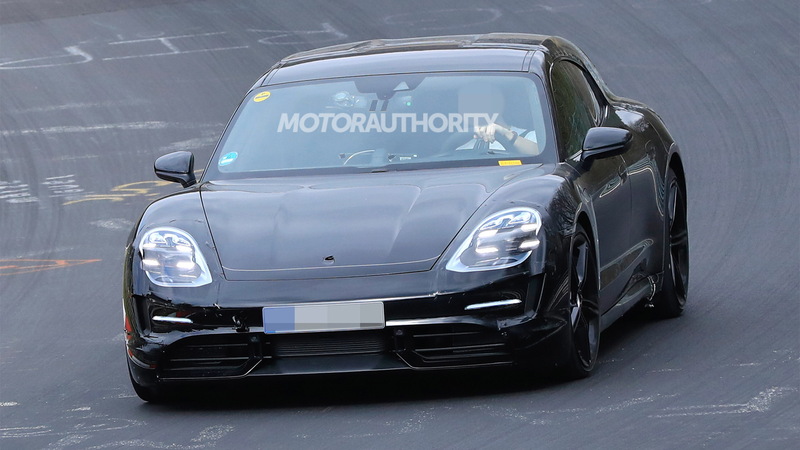 Porsche looks to have a winning formula in the Taycan. The automaker originally planned to build 20,000 examples per year but surging demand has led it to double capacity. 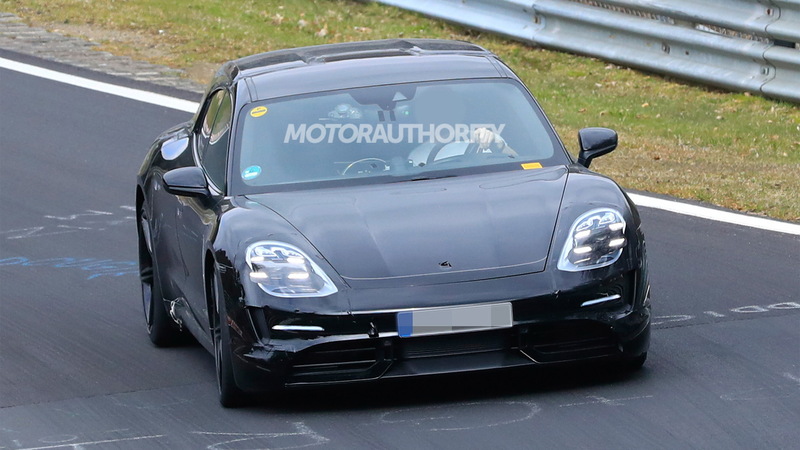 Production of Porsche's electric cars will take place at a new facility set up at the automaker's main plant in Zuffenhausen, Germany. Porsche is planning to recruit 1,200 staff and invest close to $7 billion for its various electric car programs running through to 2022. 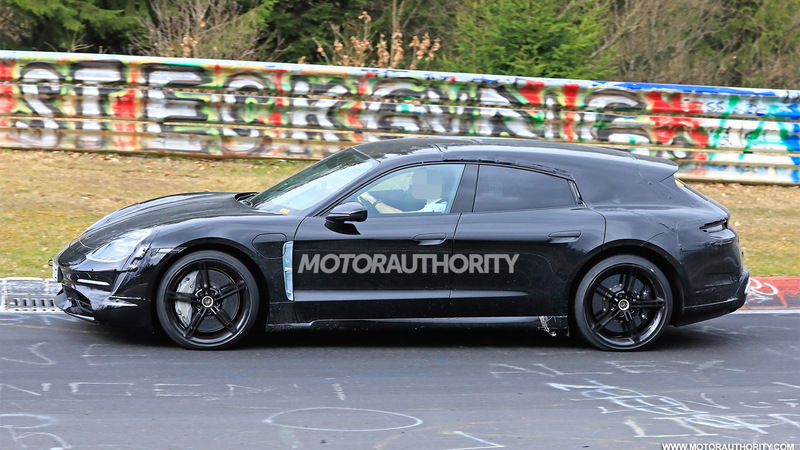 Already confirmed is an electric next-generation Macan.